SEC Proposes New Rules in Response to "Flash Crash"
U.S. stock exchanges would briefly halt trading of some stocks that have big prices swings under new trading rules aimed at avoiding market plunges and proposed by federal regulators. The rules would take effect in mid-June under a six-month pilot program agreed to by major exchanges and the Securities and Exchange Commission. The SEC announced them Tuesday and put them forward for public comment, in a response to the stunning plunge of May 6. Under the plan, trading of any Standard & Poor's 500 stock that rises or falls 10 percent or more would be halted for five minutes. These rules, known as "circuit breakers," would be applied if the price swing occurs between 9:45 a.m. and 3:35 p.m. Eastern time. "We continue to believe that the market disruption of May 6 was exacerbated by disparate trading rules and conventions across the exchanges," SEC Chairman Mary Schapiro said in a press release. "As such, I believe it is important that all the exchanges quickly reached consensus on a set of uniform circuit breakers that would be triggered when needed." Commodity Futures Trading Commission Chairman Gary Gensler called the report "very preliminary." He added: "There is still a great deal of work to do and a great deal of information to be reviewed." Gensler spoke to reporters on the sidelines of a conference in Washington. Regulators and the exchanges have been under intense pressure to zero in on what triggered the May 6 meltdown and to find ways to uphold the integrity of the U.S. markets. A circuit breaker or a mechanism to halt trading across markets and in a single stock has emerged as one of the key solutions to protect investors. The breakers will act as "speed bumps to help the market adjust quickly to the high levels of volatility," Schapiro said by video link from Washington at a conference in Boston. The new curbs would align U.S. markets more closely to European markets, which have more muscular safeguards. Circuit breakers at the London Stock Exchange, for example, are based on the liquidity and volatility of individual stocks. Regulators have been sifting through more than 17 million trades that occurred on May 6 around the time the market went into free-fall. So far they have discounted initial theories such as a computer hacker or terrorist activity. They have also dismissed the idea that a so-called fat finger triggered a large erroneous trade. But no single cause has been articulated, now 12 days after the drop. "I'm a little skeptical of this solution," Chao Chen, portfolio manager at TFS Capital, said of circuit breakers. "The most important thing is to figure out what happened, because it seems to me that people are nervous in general about where the market is going." 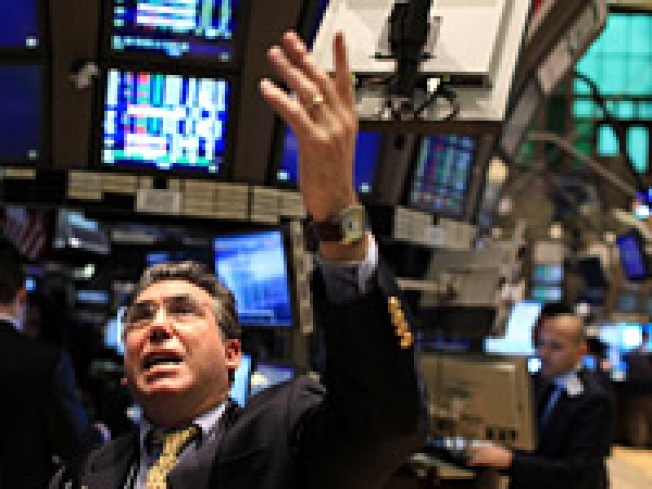 Circuit breakers that would halt trading across all markets are also being considered. This would give investors time to digest any news and adjust trading strategies. There are already broad index-based breakers in place, but those were not tripped when the market shot down and then recouped some of its losses in less than 20 minutes that afternoon.